Zone cabling assemblies shall be constructed of Category 6A, 23 AWG, solid, shielded, F/UTP, twisted pair cable and available in plug-to-plug or jack-to-plug termination configurations. Zone cabling products are designed to provide an efficient and cost effective way to design and deploy cabling systems in data centers and open office architecture environments. 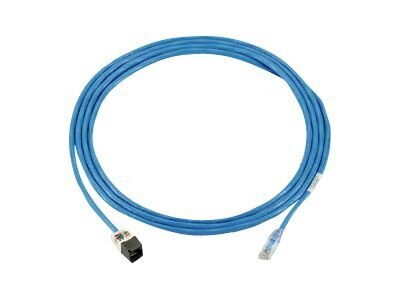 Each zone cabling product serves as a main distribution point for a particular zone, increasing network flexibility, manageability, accessibility and efficiency. Utilizing a distributed network and a zone cabling topology for physical infrastructure can reduce telecommunication congestion.